The Canon PowerShot SX280 HS is a good, solid super-zoom camera with pretty good control, quality and features. Sticking to 12 Megapixels has allowed Canon to deliver image quality that's a little better than its rivals without missing out on fine details. The optical quality is also respectable and the image stabilization makes the entire 20x range very usable even when panning handheld at the maximum 500mm equivalent focal length. The Canon PowerShot SX280 HS is a 12 Megapixel pocket super-zoom with a 20x optical range and built-in Wifi and GPS. Announced in March 2013 it’s the successor to the popular SX260 HS and like that model it’s available in two versions. The slightly cheaper SX270 HS, available in some regions, is identical other than lacking the Wifi and GPS capabilities of the SX280 HS. As such everything in this review apart from the Wifi and GPS sections applies to the SX270 HS. While its rivals from Panasonic and Sony continue to push resolutions ever-higher on their 2013 pocket super-zooms, Canon has decided to stick with a relatively modest 12 Megapixels for the SX280 HS in an attempt to minimize noise. The SX280 HS also debuts Canon’s latest DIGIC 6 image processor which claims to deliver 30% more detail than previous models. The DIGIC 6 processor supports sensitivities up to 6400 ISO on the SX280 HS along with Full HD 1080p video in the MP4 format. The optical zoom operates in a 25-500mm equivalent range with a five-axis optical stabilizer to iron-out the wobbles. The built-in GPS can automatically tag images with your location, while the built-in Wifi – a first for the SX series – lets you easily share and upload images. There’s also a selection of special effects including a miniature mode for stills and movies, and the option to shoot in PASM exposure modes or a variety of presets. While it’s nice to find Wifi and GPS in a Canon compact, the SX280 HS is up against equally-equipped rivals from Panasonic and Sony, so in my review I’ll compare them all to help you find the best pocket super-zoom! The Canon PowerShot SX280 HS shares essentially the same body and controls as its predecessor, the SX260 HS. It measures 106x63x32.6mm and weighs 233g including card and battery. Like the SX260 HS it’s a solid block of a camera with a narrow but pronounced vertical strip on the front surface which works surprisingly well as a grip, while your thumb presses against the mode dial on the rear. Those who prefer to grip the camera with two hands should however beware of the popup flash on the upper left surface which can sometimes prod your left fingers out of the way. The SX280 HS will squeeze into all but the slimmest of pockets, but it is in fact the largest of its rivals. Panasonic’s Lumix ZS30 / TZ40 measures 108x59x27.7mm so may be 2mm wider, but 4mm shorter and almost 5mm thinner. The Lumix is lighter too at 198g including battery. 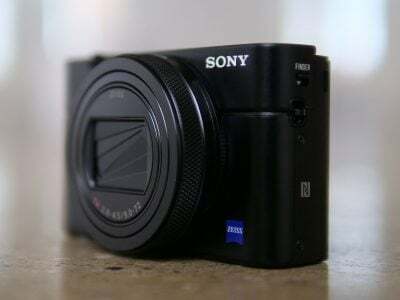 Meanwhile Sony’s 20x pocket zoom for 2013, the Cyber-shot WX300 measures 96x55x25.7mm, making it 10mm narrower, 8mm shorter and almost 7mm thinner smaller, not to mention lighter too at just 166g including battery. Indeed it’s worth noting Sony’s higher-end Cyber-shot HX50 measures 108x64x38.3mm and weighs 272g including battery, yet manages to squeeze-in a 30x optical range and a hotshoe for accessories. Like its predecessor, the SX280 HS is equipped with a generously-sized shutter release button with a zoom collar around it. There’s two zooming speeds, depending on how far you push the collar, and in the movie modes these take about four and eight seconds to go from one end of the range to the other, although sadly both are audible under quieter conditions. Meanwhile on the far right of the upper surface is a large power button. The GPS receiver hides under a small bulge about halfway across the top surface, in line with the lens axis. As before there’s a small popup flash on a motorized mount which raises and lowers by itself when required. Thankfully unlike a much earlier SX generation, the flash only raises when it’s needed, but it’s still a bit inconveniently placed when gripping the camera with both hands as it’s almost impossible for your left fingers not to get in the way. Canon quotes the flash range as 50cm to 3.5m at wide angle or 1-2m when fully zoomed-in, all at Auto ISO. These are roughly comparable to the flash range of Panasonic’s ZS30 / TZ40, but its flash is built-into the front of the body rather than popping up. Round the back, the SX280 HS is dominated by a 3in screen with 461k dots. This makes it the same specification as the earlier SX260 HS, and matches the smaller Sony WX300. Sadly Canon and Sony have resisted the temptation to equip their new pocket super-zooms with touch-screens. 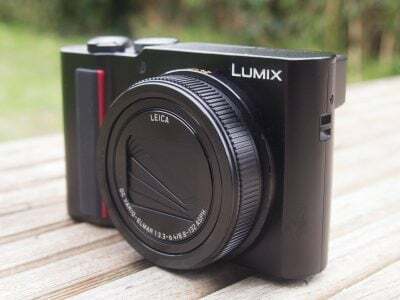 Of their rivals, only the Panasonic Lumix ZS30 / TZ40 offers a touch-screen, and trumps them further with higher 920k dot resolution (although to be fair the higher-end Sony HX50 also shares this screen resolution). Now you may not feel bothered by the absence of a touch-screen, but once you’ve used one for specifying a focusing point for stills or movies, you really don’t want to go back. It’s especially frustrating that you can’t even move the AF area on the SX280 HS with buttons let alone by touch. It just stays there in the middle of the screen forcing you to point, lock and recompose rather than simply tapping on the desired area as you would on the ZS30 / TZ40. I’m not being a Panasonic fan-boy either as Canon actually has my favourite touchscreen interface on its latest consumer DSLRs, so why it doesn’t just roll it out over a wider range is beyond me. Anyway, the good news is the screen on the SX280 HS is at least bright and colourful, and remains visible under all but the brightest conditions. 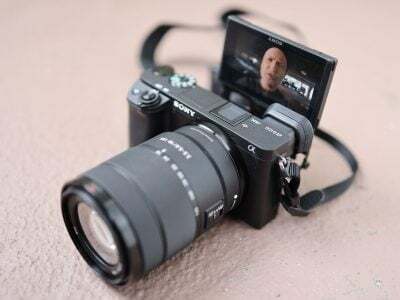 Like its 20x rivals, the screen is the only means of composition, although you may be interested to know the higher-end Sony HX50 actually sports an accessory shoe for mounting an optional EVF although this makes for a much more expensive combination. Pressing the DISP button while composing cycles through two views, onc clean and the other with basic shooting information. It’s also possible to superimpose a 3×3 alignment grid from the menus, but there’s still no live histogram during composition, something that’s long been offered by Panasonic on the ZS / TZ series. Pressing the DISP button during playback will however offer a thumbnail view with a brightness histogram, while another view reveals the GPS co-ordinates embedded in the image file. The bulk of the SX280 HS’s controls are positioned on the right side of the screen and are virtually identical to its predecessor. Nestled in the top right corner is the mode dial with the same positions as the SX260 HS, but with a couple subtly relabeled or rearranged. I’ll cover them later in the review. A small but tactile control wheel on the rear scrolls through options and also tilts to select the usual up, down, left and right controls. These also double-up to offer direct access to the exposure compensation, flash modes, self-timer and macro modes. In playback pushing up selects the Wifi options, more of which later. In the center of the wheel is the usual FUNC / SET button to fire-up the on-screen settings which depend on which mode is selected; in Program mode you can change the GPS mode, metering, Colour effects, White Balance, Sensitivity, flash power, drive mode, photo aspect ratio, photo resolution, compression and movie quality. Finally, surrounding the wheel are four dedicated buttons for playback, movie record, MENU and DISP. On the right side of the camera under a stiff rubber flap are a combined USB / AV output and a Mini HDMI port. On the underside the battery and SD memory card slot are housed in the same compartment which becomes blocked when the camera’s mounted on a tripod. The SX280 HS is unsurprisingly powered by the same NB-6L battery pack as the SX260 HS and like that model it’s charged outside the camera using a separate mains charger. Some may like this traditional approach, but I personally prefer the in-camera USB-charging offered by Panasonic on its ZS / TZ models. The SX280 HS depletes it battery pretty quickly when filming movies so it’s a shame you can’t easily top it up on the move over USB via a laptop or car adapter. Canon reckons the SX280 HS is good for 210 shots or 25 minutes of video on a single charge. I can certainly confirm the latter, which coincidentally is also about what you’ll get when filming 1080 / 30p before bumping up against the 4GB file size limit. Note the Panasonic ZS30 / TZ40 claims a battery life of 300 shots. When I first tested the PowerShot SX280 HS, it was running the original version of its firmware, 1.0.0.0. This exhibited an annoying issue where the camera displayed two very different remaining battery lives depending on whether you were in stills or movie mode. You could quite happily be taking stills with the battery meter showing all three bars, but then switch to movie mode and see the battery icon suddenly turn red and start flashing. Should you start recording video, you may only capture a few seconds before the battery gives up and the camera shuts down, demanding a recharge. But if you switch the mode dial out of movies, you can normally switch the camera back on again and continue to shoot stills with the battery meter now showing a reasonably healthy charge. After publishing my review I was contacted by Canon UK who explained there was now a firmware update to resolve the issue, although at the time it required me to briefly return my camera to them. The camera returned a few days later, running firmware version 1.0.2.0. I checked the serial number to confirm it was the same camera which I’d sent off. To test the SX280 HS after Canon’s firmware update, I fully charged the battery, fitted it with a freshly formatted SD card and set the mode dial to the movie position in 1080p60 mode. I shot a five minute video clip and then put the SX280 HS in Program mode and shot a handful of Large Superfine JPEGs, before turning the mode dial back to the Movie position and shooting another 5 minute clip. Each time I changed modes I checked the battery indicator before and after switching and each time it was the same in both the Movie and Program Auto modes. Eventually, the battery indicator dropped from three segments to two and then to one flashing segment, but following the update it was always the same in Movie mode as in Program Auto. I also did a test to measure the maximum movie recording time on a single charge, and following the firmware update managed 57 minutes. I’d say after a shaky start with the initial firmware Canon has now resolved the battery problem with the SX280 HS. I do however know of some early buyers who, like me, ended up with the initial firmware. So if you buy an SX280 HS and it’s exhibiting the battery issue when switching to movie mode, check the firmware version in the menu and return it to Canon for an update if necessary. By the time you read this it may even be possible to perform the update yourself. The most important specification of any super-zoom camera is of course its optical range and for the SX280 HS, Canon has adopted the same 20x range first seen on last year’s SX260 HS. This shouldn’t come as a surprise as manufacturers often deploy optics across two generations before updating. This strategy can of course lead to a rival jumping ahead, but the gamble paid off for 2013 as Panasonic and Sony (at least for its more affordable WX300) have also kept the same 20x zooms as their 2012 models, although if your budget can stretch higher you could alternatively go for Sony’s HX50 with a 30x range. So like its predecessor, the PowerShot SX280 HS sports an equivalent range of 25-500mm, allowing you to easily capture expansive views at one moment, before zooming-in to grab distant detail in the next. It’s a powerful and compelling range to have at your disposal in a pocketable camera. The closest focusing distance remains 5cm with the lens zoomed-out to the widest angle. You can see an example of the coverage below, and further examples of how you can use it in my SX280 HS sample images gallery. Canon’s biggest rivals in the pocket super-zoom category are Panasonic and Sony. All three have stuck with the same 20x zoom ranges they introduced last year, which means Sony’s Cyber-shot WX300 shares the same 25-500mm equivalent range, while Panasonic’s ZS30 / TZ40 starts and ends a tad shorter at 24-480mm. Once again if you’re willing to spend a little more and carry something a little larger, Sony alternatively offers the 30x range of the HX50 with its 24-720mm equivalent coverage. Beyond the equivalent ranges of the 20x models, there are a couple of other differences in their optical specifications worth noting. The maximum aperture of the Canon SX280 HS is actually the slowest of the bunch at f3.5-6.8 compared to f3.5-6.5 on the Sony WX300 and the f3.3-6.4 of the Panasonic ZS30 / TZ40, although the differences here are not enough to really make any practical difference. In terms of macro, the Panasonic enjoys a closer focusing distance of 3cm compared to 5cm for both the Canon and Sony – even with the slightly wider coverage, this allows the Panasonic to deliver slightly larger close-ups than its rivals, although at 3cm you’ll need to watch out for casting shadows. The SX280 HS’s lens extends upon power-up with the camera showing an image in just under two seconds, and responding to controls a fraction later – it’s not the quickest by any means, but rarely holds you back. A rocker around the shutter release operates the dual-speed zoom with about 18 steps between wide and telephoto and lurching kept to a minimum, although the increments are coarser than the ZS30 / TZ40. Push the rocker gently and the SX280 HS will take about four seconds to zoom from full wide to tele, while a full push will do it in about two. Note to minimise the sound of the zoom motor while filming, both speeds are slowed down by about two times, but sadly they remain quite audible under reasonably quiet conditions; indeed the quicker of the two is hard to drown-out even when there’s quite a lot of background noise. The SX280 HS is of course equipped with optical stabilization, an essential when you’re dealing with a lens which can zoom-into an equivalent of 500mm. Canon claims to have improved the stabilization with a new five-axis system, so to out it to the test I took a series of images at 500mm using progressively slower shutter speeds until I could no longer deliver an image free of shake. I performed this test with stabilization disabled and enabled. Traditional belief recommends a shutter speed of 1 / equivalent focal length to avoid camera shake without any stabilization. For an equivalent focal length of 500mm, that would mean using a shutter speed of 1/500. Under the conditions of the day though, I managed to handhold a sharp result with the SX280 HS at 1/100 without stabilization enabled. Switching stabilization on though allowed me to achieve the same degree of sharpness at a shutter speed of 1/13, which corresponds to three stops over the unstabilised version, not to mention five stops over traditional wisdom. Like its predecessor, the SX280 HS is equipped with a mode dial and a wealth of shooting options. So as before you can set the SX280 HS into Program, Aperture or Shutter Priority or full Manual if desired, choosing from shutter speeds between 15 seconds and 1/3200, and up to nine aperture values at wide angle. Like most compacts though, there are caveats involving the usefulness of manual exposure control. Most notably, the inherently large depth-of-field in most compacts, including this one, means it’s hard to achieve a blurred background on portraits even with the aperture wide open. Your best bet is to zoom all the way-in, position the subject close and the background as far away as possible. Macro shots allow a shallower depth-of-field, but neither these nor portraits will come close to the blurred background effect you can enjoy with a DSLR or a mirrorless system camera. To illustrate the depth-of-field control of the PowerShot SX280 HS in a macro environment, I photographed a still-life arrangement in a cafe and focused on the sugar packet in the middle; this was positioned around 5cm from the camera, with the lens set to its widest focal length of 4.5mm (25mm equivalent). I chose to shoot this composition with the lens zoomed-out in order to access the maximum range of apertures from f3.5 to 8. As you can see below, the shot on the left has a slightly shallower depth-of-field than the one on the right: the menu on the table is a little blurrier, but it’s a relatively subtle effect. You really need to view both images at or close to 100% to see much difference in depth-of-field. I tried several other compositions at a variety of focal lengths and distances in an attempt to maximise the depth-of-field effect, but the example below remained the most effective. The bottom line is while the minor change in depth-of-field does indeed confirm the presence of a physical iris, it ultimately has minimal impact on the visible depth-of-field in practice. A handful of specialist compacts sporting f2 apertures or faster enjoy greater control over depth-of-field, but again it’s nowhere near the blurring effect that’s possible on a camera with a bigger sensor. For the maximum background blurring on the SX280 HS you’ll either need to get as close as possible to your subject in macro, or zoom the lens all the way to 480mm and in both cases try and keep the background as far away as possible. Set the SX280 HS to AUTO and it’ll work out everything for you using scene detection which even accommodate and adjusts for subjects which are in motion, backlit, in shadow, smiling or even sleeping, including two additional scenes for smiling or sleeping babies. I wonder if a future DIGIC 7 will include a preset for screaming babies? Set the camera to Hybrid AUTO and it’ll exploit Canon’s Movie Digest feature to capture two to four seconds of video prior to you taking each photo. These are then compiled as the day goes on into a single movie which can give a fun behind-the-scenes. The idea is you normally spend at least a couple of seconds setting up a composition before taking photos and this is when people in portraits can often be most relaxed before their stock pose. When it works well, the compiled movies can certainly be fun, but at other times you may grab uncomfortable or messy footage, plus there’s the constant buffering taking place which will drain your battery sooner rather than later. Turn the mode dial to the icon of a person with a finger to their lips and the SX280 HS will go into Discreet mode, silencing any sounds and preventing the flash from firing or the AF illuminator from flashing. The LIVE mode presents three sliders on the screen to adjust brightness, colour and tone. These aren’t really any different to what you’d previously access through various menus and style presets, but it’s much easier to have them on-screen at the same time, allowing you to preview the effect as you adjust them. Set the dial to SCN and you can choose from five presets, consisting of Portrait, Handheld Night Scene, Underwater, Snow and Fireworks. What no Sports mode I hear you say? There is a Sports preset, but it’s promoted to its own dedicated position on the dial. Of the presets, Handheld Night Scene remains the most interesting, capturing three consecutive shots and combining them into one in an attempt to reduce noise or camera shake in low light. You can see how well this works in practice in my Canon SX280 HS Handheld Night Scene results page. Moving on, the Creative Filters position on the dial lets you apply a variety of effects, consisting of Super Vivid, Fisheye, Miniature, Toy Camera, Soft Focus and Monochrome. In all but the miniature and monochrome modes, pressing the DISP button lets you adjust the intensity. In monochrome mode the DISP button lets you switch to sepia or blue and white effects, while in the miniature mode the DISP button lets you adjust the plane of focus and, when recording movies, the playback speed between 5x, 10x or 20x. You can see an example of a miniature move below, along with several examples of the other Creative Filters in action on still photos. Here’s an example of the miniature movie mode, at 10x speed and in the maximum 720p quality. Note in order to capture miniature movies in HD, you first need to change the photo aspect ratio to 16:9, otherwise the camera will record 4:3 video at VGA resolution. See Movie Mode section below for more information. If you do end up changing the photo aspect ratio to 16:9 just to record miniature movies in HD though, don’t forget to switch it back to 4:3 afterwards or you’ll be shooting cropped photos. What you still won’t find on the SX280 HS though is a panorama mode which automatically stitches images taken in a simple sweep of the camera. Why this eludes Canon is beyond me, and it’s really disappointing not to have it implemented with the latest DIGIC 6 processor. Auto panoramas have been on Sony cameras for a very long time, and even Panasonic has offered them for two generations. They’re such a fun and useful feature to have on any camera and a sore absence on the SX280 HS. The Canon PowerShot SX280 HS can record Full HD movies with stereo sound and control over the optical zoom while you’re filming. There’s a dedicated movie mode on the dial, but you can actually start recording video from any mode by simply pressing the red record button on the back. This may sound like it renders the movie mode position on the dial redundant, but selecting it unlocks a top quality option of 1080p at 60p, whereas setting the quality and triggering a recording from any other mode limits the top quality to 1080 / 30p. In any mode you can alternatively select 720p or VGA, again at 30p. Canon recommends using an SD memory card rated at Class 6 or quicker for movies. The maximum recording time is when the file reaches a second shy of half an hour or 4GB in size, or of course if the battery runs out first. Moving on, once you start filming the exposure control is fully automatic, although if preferred, you can lock the exposure or adjust it in a +/-2EV range prior to filming. Some of the Creative Effects can also be applied to movies, although others are ignored. Pressing the movie record button while Fisheye, Toy Camera or Soft Focus are selected and the camera will just ignore them and film as normal, but it will apply the Monochrome, Super Vivid, Poster or Miniature effects to video. The SX280 HS also inherits the slow motion capabilities of its predecessor, offering the choice of QVGA (320×240) at 240fps or VGA (640×480) at 120fps. These are fun to use, but it’s a shame Canon hasn’t taken the opportunity to upgrade them to something more useful. For example with this year’s Lumix ZS30 / TZ40, Panasonic now offers VGA at 200fps or 720p HD at 100fps, the latter delivering really nice quality and footage that can be integrated more seamlessly into widescreen HD projects. You also can’t take photos while recording a movie – doing so will stop the recording, unlike the ZS30 / TZ40 which can capture 13 Megapixel stills while filming. Beyond the enhanced stabilization though, the only major new movie feature on the SX280 HS is 1080 at 60p, and this was offered by Panasonic on last year’s models. I should also add that 60p on any camera will halve the longest shutter speed compared to 30p, thereby requiring more light for a balanced exposure. As such while 60p will deliver nice smooth results which could also be slowed down by two times in a 30fps project, you may find it delivering results which are too dark or noisy in dim conditions. Under dimmer conditions you should select 30p to allow the camera to use longer exposures. Now it’s time for my movie samples. My first sample video from the Canon PowerShot SX280 HS demonstrates the camera’s 20x optical zoom range. Due to very blustery conditions, I had the camera firmly mounted on a tripod and operated the zoom collar control manually. The SX280 HS does a good job at refocusing as the lens zooms-in and back out again, and captures a decent amount of detail throughout. Note this clip was filmed at 1080 / 30p which is the highest quality option available when you adjust the video settings in the still photo modes. If you turn the mode dial to the dedicated movie position though, a better quality 1080 / 60p option becomes available and that’s what you’ll see in the next clip. My second video sample is a handheld pan with a zoom throughout the range. I filmed it in the best quality 1080 / 60p mode which is new to the SX280 HS. Note it’s only possible to access this mode when the dial is set to the dedicated movie mode. If you have the camera set to any other mode and use the record button to trigger a video, then the top quality setting will be 1080 / 30p instead. In this clip you’ll see the SX280 HS stabilisation manages to iron-out any wobbles from the footage without any undesirable jumping effects even when panning with the lens fully zoomed-into 500mm equivalent. This make the zoom range very usable when handheld, although beware the zoom motor is audible in quieter surroundings, especially when used at the quicker of its two speeds. Meanwhile the 60fps option certainly delivers smooth footage, but beware not only will it consume more memory and potentially playback less smoothly on lower-powered systems, but the shorter exposures will also render it inappropriate in low light. In my third clip I took the SX280 HS into the dimmer conditions of a cafe, switching the quality back down to 1080 / 30p to better cope with the reduced light levels; had I shot this in 1080 / 60p then the dimmer regions would have been too dark. Panning around the scene sees the camera adjust the exposure quickly and fairly discretely – you can certainly see the exposure adjustments taking place as steps, but they’re not too distracting thanks to the quick response. The higher sensitivity means slightly higher noise which in Canon tradition has been smoothed out with a minor loss of detail as a result, but the quality still looks respectable. Handheld panning at the widest focal length also poses no issues for the stabilization as you’d expect. In my fourth clip I put the continuous autofocusing capabilities to the test, pointing the camera at subjects from just over a few inches away to over 10 feet distant and back again. The SX280 HS adjusted its focus pretty confidently in this test with only minor searching to confirm; there’s certainly no uncomfortable periods where the focus is lost. The low light levels have again resulted in higher noise levels with greater smoothing and lower detail as a result, but again the quality remains very respectable under these conditions. My fifth clip demonstrates the SX280 HS’s miniature mode in action. Like previous Canon PowerShots this is triggered from the Scene mode by first selecting the miniature preset, then simply pressing the red record button to start filming video. Before filming, you can choose the playback speed to be either 5x, 10x or 20x. As before though, there’s a foible you need to be aware of in order to record miniature videos in HD quality. If you have the photo aspect ratio set to 4:3 for the best quality stills, then pressing the record button will subsequently film video in the same 4:3 shape and at VGA resolution. To film in HD, you’ll need to set the photo aspect ratio to 16:9, after which any video will be captured in widescreen HD, albeit only in 720p, not 1080p resolution. I’m very disappointed this hasn’t been fixed in DIGIC 6, most sensibly by either adding a miniature option to the movie mode, or simply by filming video in your chosen format regardless of the effect. This is how the Panasonic ZS / TZ series operate, where it’s long been possible to film miniature effects in 1080p. Canon really needs to sort this out. The Canon PowerShot SX280 HS is equipped with a built-in GPS. This along with Wifi is what differentiates it from the otherwise identical SX270 HS sold in some regions at a slightly lower price. The GPS can record the location into the EXIF header of JPEGs which can then be read by various services – for example you could plot your photo positions on a map, or it can be read automatically when uploading images to sites like Flickr. The GPS in the SX280 HS can also be used a logger, regularly recording your position even when not taking photos for plotting your route later; this does however consume more battery power as it’s effectively running more of the time. The GPS menu lets you switch the receiver on or off. When the receiver is on, you’ll see a small satellite symbol in the upper left of the screen when composing images. If the satellite has a no-entry symbol on it, the SX280 HS can’t for some reason acquire a GPS signal, for example if it’s indoors or in an area without a clear view of the sky. If the symbol is flashing then the GPS is searching for a signal, and once it’s found one, the symbol remains steady. If you power the camera up in a new location that’s far from the last one, it could take up to a minute to acquire a signal. If you’re reasonably close though, such as taking photos around a town, then the new acquisition could take 15-30 seconds. You can speed up the process by equipping the SX280 HS with Assisted GPS data, downloaded from Canon’s server and updated about once a month. Previously this would entail downloading a file using a computer, then copying it onto a memory card or into the camera over USB, none of which was particularly simple; indeed you’d be pretty dedicated to do it every month or so to stay up to date. But now thanks to built-in Wifi, the SX280 HS can download the data directly into the camera from a wireless access point. Just select the access point from the menu, enter any security password if required and bingo, the camera will download the data all by itself. Even though you have to initiate the process manually, it’s still so much simpler than before and should see most GPS acquisitions taking around 15 seconds or less. Note the GPS Assist data is stored on the memory card, so if you format or remove it, you’ll need to download the data again if you’d like to exploit it. Once the camera has acquired a GPS signal, as indicated by the steady satellite symbol, the SX280 HS will embed the co-ordinates into the image file. Like all images with GPS data, you should think about privacy when sharing the photo as it will reveal the location, such as your home. So I tend to switch the GPS on when out and about, but off when I’m near my home. The SX280 HS won’t display the co-ordinates during composition, but can show them during playback as one of the DISP views. In this respect it’s similar to Sony’s implementation, but much different from Panasonic which on recent ZS / TZ models actually cross-references the position against an internal database to display the actual place name, or even show you where you are on an on-screen map. Of course if all you want are GPS co-ordinates on your image, then there’s little difference between their implementations, but Panasonic does make it more fun during the composition. The major new feature of the PowerShot SX280 HS are built-in Wifi capabilities. These allow you to transfer images to other devices, such as computers, smartphones, printers or other compatible cameras, or onto sharing services via the internet. Unfortunately there’s no wireless remote control of the camera over Wifi though, which puts it behind models like Panasonic’s ZS30 / TZ40. All wireless transfers from the camera are triggered during playback by pushing the up button on the rear. This then presents a Wifi menu from which you can choose which device or service you’d like to connect to. When sending an image you can choose to resize to M2 (2 Megapixels and the default setting), S (VGA) or to keep them at the original size. If you’d like to wirelessly transfer images from the SX280 HS to a computer you’ll first need to install the supplied Camera Window software on the computer. You’ll then need to select a wireless access point in range of both the computer and the camera. Next you select the access point from the camera, entering any security details if required, before then selecting the computer from a list. From that point, Camera Window works similarly to using a wired USB connection for transferring images. Sadly there’s no peer-to-peer connection possible for a direct link between the camera and a computer with Wifi. 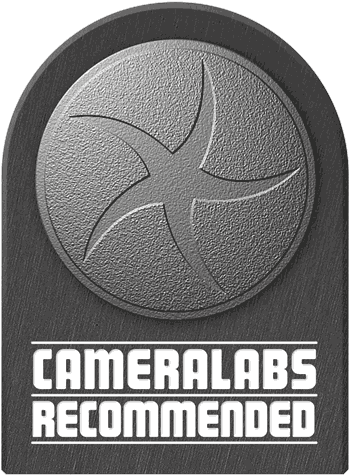 If you’d like to wireless transfer images from the SX280 HS to a smartphone, you’ll need to first install the free CameraWindow app, available for iOS or Android devices via App Store or Play Store respectively. Next, enable Wifi on your phone and fire-up the app, entering a codename for your device. Then on the camera Wifi options, choose the Smartphone option and select your codenamed device from a list, after which you can push images from the camera to the phone. The camera may alternatively prompt you to connect your phone to its network, before entering a password that’s displayed on the camera’s screen. I tried it on my Samsung Galaxy S4 and successfully transferred original JPEGs measuring around 5MB each in about ten seconds; setting the smaller M2 or S sizes transferred the images in about a second. You can also browse through the camera’s photos using your smartphone screen via the CameraWindow app, although you can’t pinch to zoom-in nor swipe between them. Instead you’ll be pressing arrow buttons to view different images or selecting them via a thumbnail view, then if you’d like a closer look you’ll need to choose the option to save them to your device or share them to one of you installed services. It’s a more basic interface than the Image App which works with the Panasonic ZS30 / TZ40, which lest we forget also supports basic remote control. What both the Canon and Panasonic apps also offer though is GPS Logging via the Smartphone’s GPS and subsequent tagging of images with location details. Of course this isn’t necessary if you’re using the built-in GPS of the SX280 HS, but it may open up a possibility of tagging images taken with the SX270 HS. It’s also possible to send images direct from the camera to Facebook, Twitter, YouTube or to Canon’s own iMAGE GATEWAY, again via a nearby Wifi access point. Unfortunately though you can’t setup the process from the camera alone. Instead you’ll first need to register for iMAGE GATEWAY using your computer, then install the Camera Window program. Then once you’ve connected the camera to your computer and registered it with iMAGE GATEWAY you can configure access to the social networks. Images are uploaded to Facebook into a Canon folder from where you can share them. Images sent to Twitter are uploaded to the Canon portal, then a link to it is Tweeted. I should note that like most cameras including Panasonic’s models, there’s no way to agree to any terms and conditions of a Wifi network which sadly rules out sending images via a public hotspot. The only cameras I know of with browsers which can agree to public hotspot terms, and indeed upload direct to social networks, are Sony’s Wifi-equipped NEX models. Ultimately the Wifi implementation on the SX280 HS is basic but useful none-the-less. It’s nice to wirelessly copy images onto smartphones or computers, or send them to printers or onto selected social networks. But there are a number of limitations which can prove frustrating at times, such as the inability to connect to public hotspots, make a peer-to-peer network with laptops, or setup the social networking without going through the company’s own gateway on a computer. To be fair most of these also apply to pretty much every other Wifi-equipped cameras apart from Sony’s NEX models, but it’s worth noting Panasonic’s Wifi on the ZS30 / TZ40 also supports remote control, better browsing of images, plus easy setup via NFC on compatible devices. The Canon PowerShot SX280 HS is equipped with what appears to be the same sensor as its predecessor: a 1/2.3in back-illuminated CMOS sensor with 12 Megapixels, delivering 4:3 shaped images with a maximum resolution of 4000×3000 pixels. This is however coupled with the company’s latest DIGIC 6 image processor, supporting sensitivities from 80 to 6400 ISO and claims of lower noise. Canon’s rivals, Panasonic and Sony, are embedded in a battle of numbers, boosting the resolutions of the ZS30 / TZ40 and HX50 to 18 and 20 Megapixels respectively, but packing them into the same surface area as the 12 Megapixels of the SX280 HS. In theory this should mean lower noise levels for the Canon and that’s certainly the case in my tests, although perhaps not to quite the extent you’d hope or expect. You can see a full report on resolution and noise in my Canon SX280 HS quality and Canon SX280 HS noise pages. The PowerShot SX280 HS offers a choice of continuous shooting options. In most shooting modes you can go to the Drive options using the FUNC.SET menu and select continuous shooting with or without AF. With AF fixed on the first frame, Canon quotes a speed of 3.8fps, falling to 1fps if AF is enabled. Alternatively you can set the camera to its SCENE mode and choose the High Speed Burst HQ mode which fires-off up to seven images at 14fps with the focus locked, or at 5.1fps with AF. To put them to the test I fitted the SX280 HS with a freshly formatted 16GB SanDisk Extreme Pro UHS-1 card and started timing various modes. In the standard continuous shooting mode I fired off 50 JPEGs in 16.02 seconds, corresponding to a speed of 3.12fps – a little below the quoted speed, but still usable and the camera seemed happy to continue shooting while I had memory and battery remaining. Switching to the High Speed Burst HQ mode, the camera fired-off its quoted butst of seven frames in 0.43 seconds, corresponding to a rate of 16.2fps, a little faster than quoted and the camera’s ready to fire-off another burst about three seconds later. The buffer of seven frames over a half second period means you’ll need to be pretty precise with your timing, but it certainly allows you to capture fast sequences.